In celebration of Indie Author Day, I started thinking about all the great science fiction and fantasy I’ve read this year by indie authors. As you may know, I decided to make 2017 the Year of the Indie Author, in which I would read indie books exclusively. The year’s not over yet, so I won’t post all the indie books I’ve read and attempted to read this year (yet). Here are 10 indie books I recommend, in a variety of SFF genres. 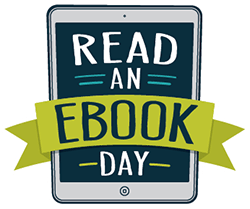 It’s Indie Author Day, so give them a try! Once more unto the breach! I will soon travel through time once more to Ye Olde Carolina Renaissance Festival outside of Charlotte, North Carolina. If you’re anywhere near the area, it’s well worth the trip. Not just for as many signed science fiction and fantasy books as you can carry, of course, but also for the turkey legs and other amazing food and [adult] beverages, hilarious performances, fun kids’ rides, and just the fun vibe!